SG System Products Limited design, manufacture and install, a wide range of high quality, bespoke, hand finished, balustrade and handrail systems. These are ideal for stairs, balconies, atriums and ramped access (dda compliant) applications. 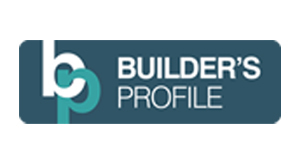 These are suitable for the construction market and the more discerning private client. This service includes design, manufacturing and installation throughout the U.K. mainland. 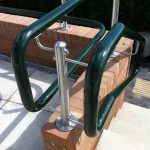 Our handrail and balustrade systems are available in stainless steel, aluminium, brass, pvc sleeved steel and toughened glass. We aim to have “quality defined in advance” by supplying working drawings for approval prior to manufacture and installation to those same drawings. This enables prices to be competitive, quality to be maintained and on site time kept to a minimum. We have systems to suit all. We have a range of options including galvanised steel handrails and frameless glass balustrades. 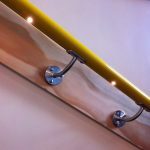 We even offer wall-mounting handrails if needed. A coloured powder coating can be added if required to suit your aesthetic needs. We have a range of handrails and balustrades options available. Click below to find out more about materials and technical specifications. Our systems have been used in a wide variety of sectors including Healthcare, Education and commercial. Click below to see how we could help. Our gallery showcases our handrails and balustrades. Filter by sector to get an idea of how our products could work for your specific application. The very latest projects showcasing our handrails and products news and information.